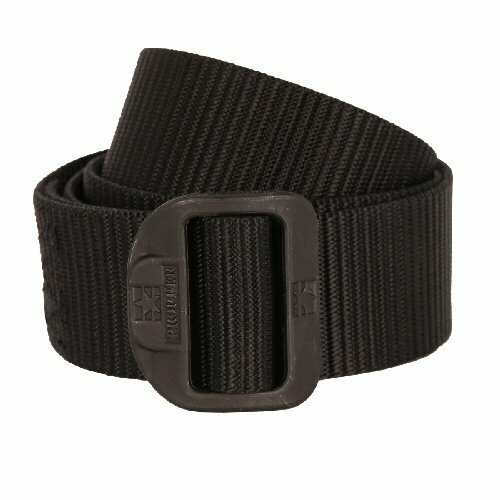 The Propper tactical belt in black is a heavy duty nylon belt 1 1/2 inches wide to fit onto duty trousers and tactical trousers. Features a moulded adjustable plastic slide type buckle, heat sealed edges and tough but smooth feel nylon narrow webbing. Webbing can be used to carry clip on and belt loop accessories and pouches. A range of sizes are available to help find the best fit without too much excess material. Available options are: 36-38 , 44-46 , 52-54 .